What happens when you bring together a puma and a kitty cat? They create one of the most iconic fashion collections, of course! For more than 40 years, Hello Kitty has charmed fans of all ages all over the world. The PUMA Suede has established its iconic status over the last 50 years in the sport and sneaker world. 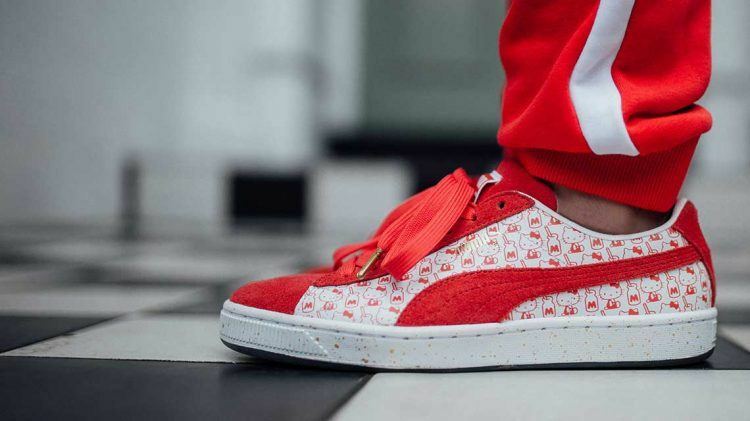 It’s about time for these two pop cultural icons to team up and to delight their fans with a whole collection, the PUMA x HELLO KITTY Collection. 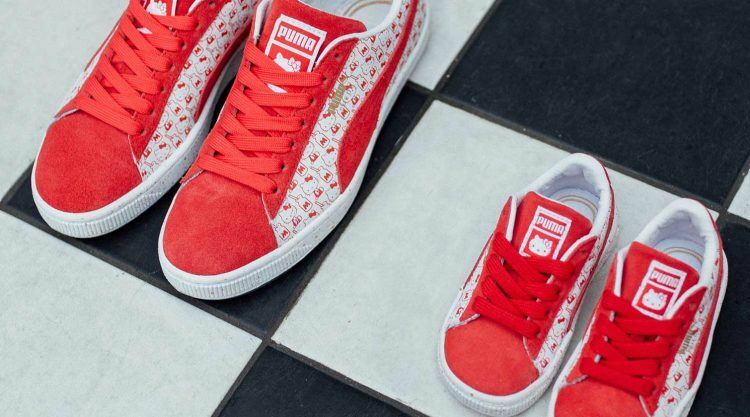 To mark the occasion of its 50 years anniversary, the PUMA Suede already collaborated with different partners from the music, lifestyle and cultural scene each forming the silhouette in their characteristic designs. In this context, we have already seen the Suede get funky, fresh, chic and sporty. 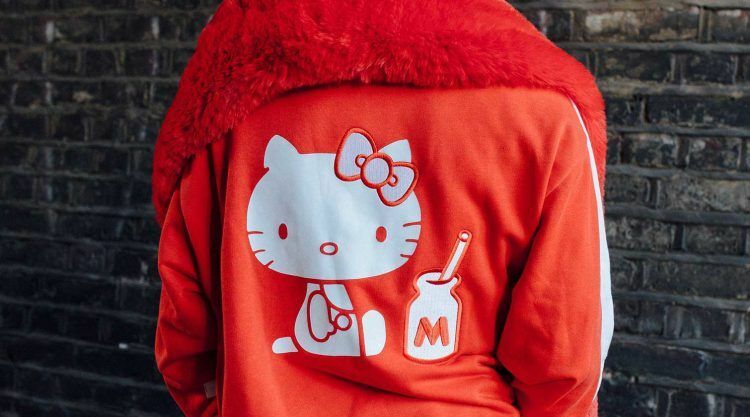 Now, we see the silhouette at its cutest with bold colors, cheeky graphics and fun details in a radiant red popping against charming Hello Kitty patterns. Not to be missed, of course, the little cat’s bow-toms that shines through the transparent sole if you slip the shoe, which – by the way – is available for the whole family in adult, junior, pre-school and infant sizes. So far, there was only the Suede taking on a different silhouette to mark its anniversary, but in this special case the street legend is not alone. Luckily, it is accompanied by apparel pieces so that you can sprinkle yourself from head to toe with sporty cuteness. You have the full choice between a white PUMA x Hello Kitty Tee with an all charming collab logo, a red Hoodie and red pants. 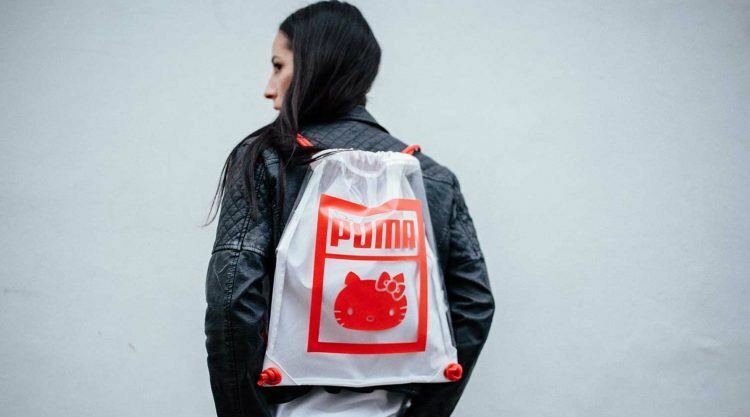 Supercute accessories like a red-white PUMA x Hello Kitty Backpack, a Gym Sack and a cap with a red translucent bill round off the collection. 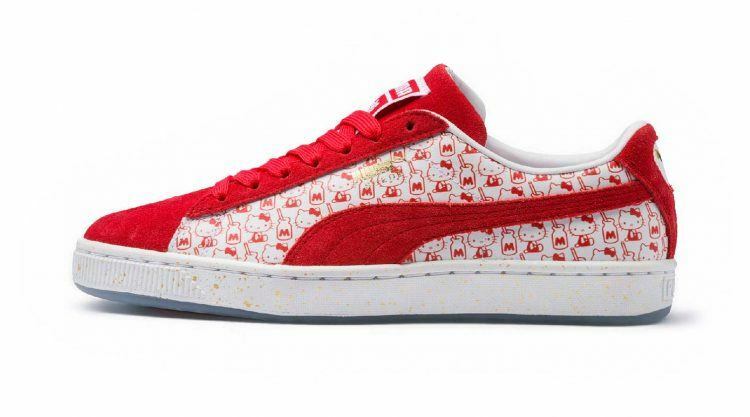 The PUMA x Hello Kitty Suede collection will be available on February 8th – so make sure you get a part of the collection, because you are never too old to have cats on your clothes and shoes, right? ... was created in 1974 by Japanese designer Yuko Shimizu. She is depicted as a female white Japanese Bobtail cat with a red bow and no mouth. Hello Kitty is said to be a symbol of friendship and supposed to encourage friendship between people across the world. ... from head to toe.